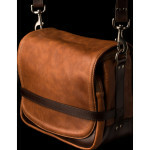 Ryker is a handsome leather bag, tailored to the needs of the modern photographer. 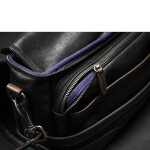 Functional and attractive, soft but sturdy, this camera bag makes it easy to organise and protect your kit on the move. Perfect for Leica or mirrorless systems, the interior is designed to hold up to three lenses along with your camera body and iPad Mini. 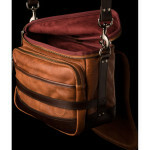 Store your accessories in the front and rear pockets, and wear over your body for hands-free photography. Create up to four sections in the main compartment with the movable interior dividers, to hold your mirrorless system and up to three lenses. 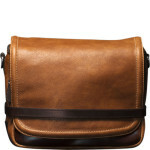 Preview and edit your shots on the move, by storing your iPad in the dedicated pouch to the rear of the compartment. Lined with thick foam padding, with a zipped rain flap on top, this bag will safeguard your gear from bumps, knocks and the elements. 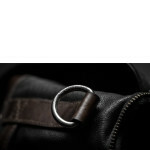 Keep memory cards, cables, business cards and lens caps to hand, using the zipped front pouch and discreet rear pocket. 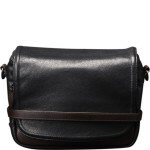 Handcrafted from vegetable-tanned leather, with an adjustable strap to wear as a satchel, this premium camera bag is available in black or brown. 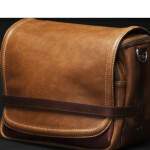 Ryker blends the essentials of contemporary camera bags with beautiful aesthetics, to create a reliable companion for style-conscious photographers. 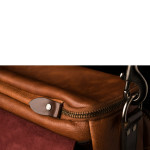 Handcrafted in Taiwan, it’s ideal for Leica and iPad Mini owners. 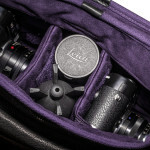 Made to hold a mirrorless system and up to three lenses, the padded adjustable dividers allow you to customise the interior to accommodate your kit. Slot your iPad Mini or tablet of up to 7” in the dedicated pouch, and seal the main compartment with rustproof YKK zippers on the protective rain flap. Organise your everyday basics in the zipped front and rear pockets, and easily access your bag with the magnetic clasps on the top flap. 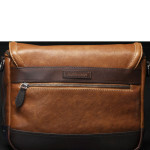 Wear over your shoulder with the adjustable, padded shoulder strap, for comfortable wear all day long. 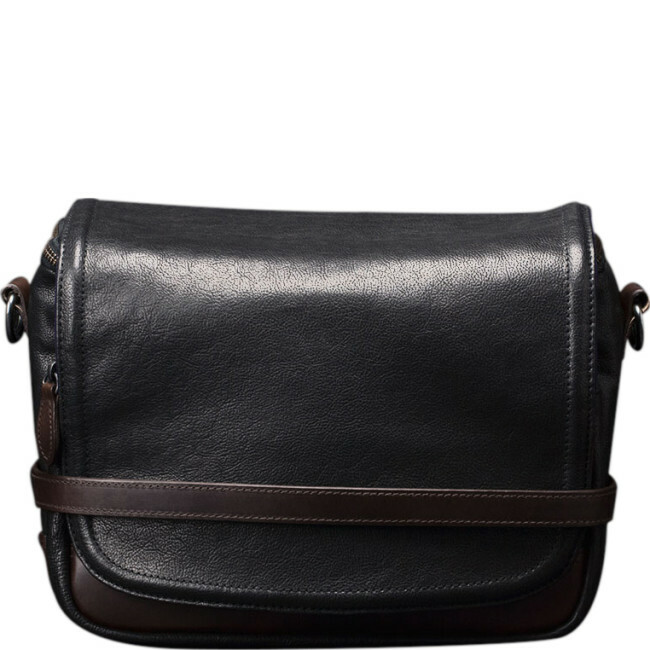 Constructed from vegetable-tanned, soft grain leather, with protective padding and stunning velveteen lining, this camera bag is both stylish and sturdy. 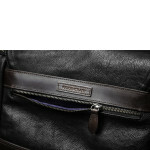 Handcrafted from a supple grain, vegetable-tanned cowhide, with rustproof bronze zips, this durable bag is water-resistant and soft to the touch. 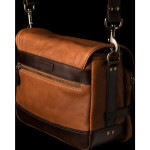 Designed to gain character over the years, it’s a camera bag that’s built to endure. 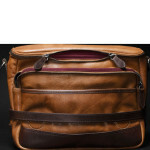 To prolong the lifespan, clean using a soft, damp cloth, and condition with a natural leather wax or cream. 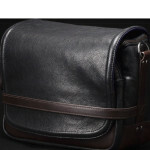 Based in Taiwan, Wotancraft is an artisan brand that creates elegant camera bags for the modern photographer. 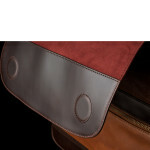 Their attention to detail and carefully chosen materials ensure that every bag is fit for the challenge of life on the move, whilst carrying and protecting your equipment in style.